When you are a person who is very active and into sports and exercise, it is going to be important that you have a specialist on your side that you can look to whenever you have issues with your feet and ankles. Our friendly and professional staff at Mill Creek Foot and Ankle Clinic specializes in all different types of sports injuries as well as therapeutic athletic treatments. When you make an appointment with us, we will be happy to work with you to go over your options in athletic foot care, treatment and surgery in Edmonds. Moving about and putting a lot of stress and strain on your feet will only last so long before you have some sort of an injury to address. Not only are we able to help you with common treatments and help with maintaining the health of your feet and ankles, but we will also be able to pinpoint the cause of your injury and help with the most specialized treatment possible. Most of the regular procedures are able to be performed right on site, including x-rays and much more. No matter what, we are available to help you so that you can get your feet, ankles and legs back to feeling good so that you can get back up to start enjoying your life once again. After you have experienced an injury, we will then make sure that we work with you so that you can take on the physical therapy that is needed to go through the healing process. 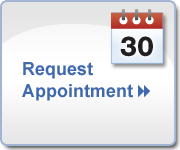 Call (425)482-6663 when you want to make an appointment to visit Mill Creek Foot and Ankle Clinic for an initial consultation. We are available to go over athletic foot care, treatment and surgery in Edmonds.